Trees add value and character to any location. Older, native trees are irreplaceable and require skilled care to stay healthy. 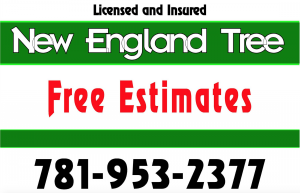 At New England Tree Company, we balance the needs of your tree with the safety of your property. This keeps your tree healthy without growing dangerously close to your home or business. Need landscaping too? Our full-service team can transform a barren, abandoned yard into a flourishing garden. We take care of all aspects of landscaping, from design to installation to maintenance. No job’s too big or too small!